Comes with plastic base, wire banner pole and LBMS Banner. Sculpted by Michael Anderson. 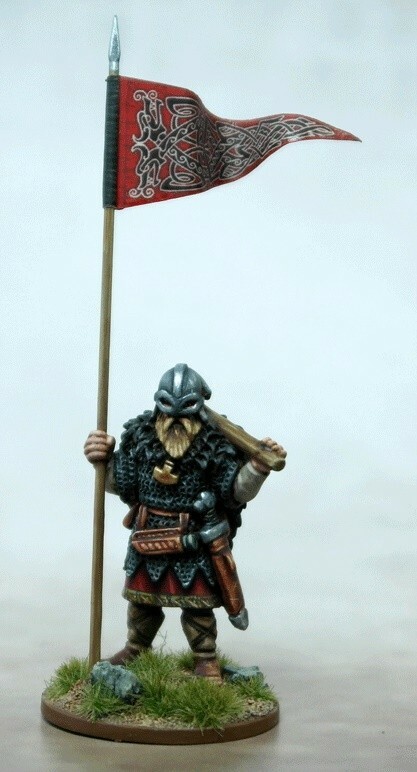 Example painted by Darren Linington. Rules for using Warbanners in your games of SAGA can be found in SAGA The Crescent & The Cross and in SAGA The Raven's Shadow.